When you hear the term, “March Madness” usually people think of the tournaments, basketball, band battles and buzzer beaters. I went to Morgan State University which is affiliated with the Middle Eastern Athletic Conference(MEAC). In addition to the NCAA conference there are other tournaments that happen around or before march like the Center Intercollegiate Athletic Association(CIAA). If you ask me they’re all fun and all something you should not experience. So when I think of the madness of march, I think of those unsupervised days of road tripping to a college to cheer for my school team, mascot fights, and of course “Aiiiiirrr Baaaaallll”. I think of meeting new friends from other colleges, arguing over gas money, sneaking into the female dorms and the parties OMG the parties! If you ask anyone that attended and graduated college they will say attending college was the funnest time of their lives. For those that didn’t graduate, you may get a slightly different answer, maybe they went too far being unsupervised. I was in school full time, about twenty something and slowly marching towards manhood with responsibilities involving; credit awareness, young women, buying dress clothes for work, time management, tuition and all those things that accompany being a man. It sounds intimidation but college is that next, possibly, final step to becoming a man or woman. College is that last testing ground during adulthood. Please understand the possibilities that present themselves during or right after college; you could meet your wife, design your first patent, get you first corporate job, meeting your life long line brothers, start your own million dollar business, or buy your first house. College or this time period is where you are basically designing what you are going to do with the rest of your life. Whether it’s college, military, or starting a job, you are embarking on becoming a man. You are getting from under the supervision of your parents, you’re “on your own”. Yes…that’s what I think about March Madness, not cutting the net, running on the court after a win or painting my face but the experience of college. So yeah this blog was nothing about basketball. It’s everything about life. So get off that couch, stop playing xbox or playstation and begin to live life. Be eager to make a mistake to learn and keep moving forward and upward. 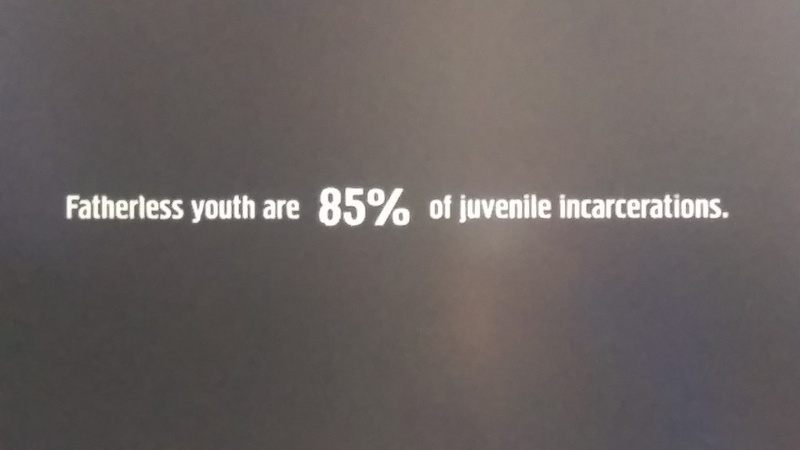 You have youth on your side to go make mistakes and get better. Life is waiting for you. So…go to college, military or start your business but by all means, just GO! When Caitlyn and Charlie from PictureMotion people contacted me to do the review, I was very skeptical. I didn’t think I could really provide an open-minded review while harboring assumptions about the movie. My assumptions had nothing to do with the movie but everything to do with the consistent reminders of the black male existence in America. My dilemma is with our never-ending challenge to find success in any aspect of our lives, while at the same time, changing the dialogue from defeat and pity to prosperity in a system of systems that are poised against us. They sent me a screening link, and I figured if I can get through the hour and thirty-three minutes it might be something to discuss. I didn’t touch any of my shirts, I didn’t iron not one article of clothing. I immediately put the iron down, picked up a pen and started taking notes. I watched the movie twice. 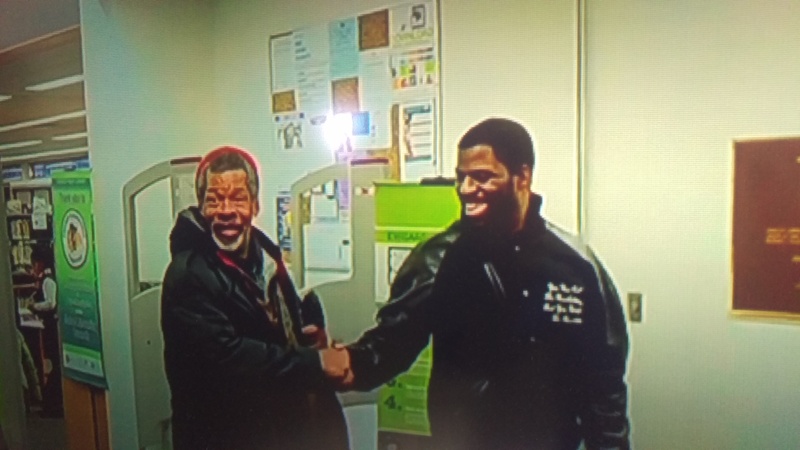 The movie makes the immediate distinction of what it’s not about; Rhymefest’s career, his latest album, another rapper grasping for any glimpse of that first taste of fame. For the first twenty minutes, I could not look away. If I would have tried to iron a shirt I would have burned it. 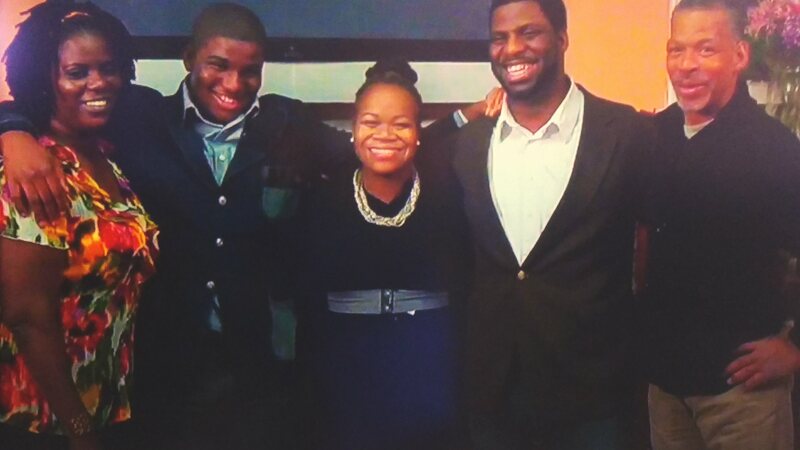 Through my own research I find that Che “Rhymefest” Smith won a GRAMMY award for co-writing “Jesus Walks” with Kanye West. He’s also won an Oscar for co-writing “Glory” with Common and John Legend. The movie is not about that at all, but this movie is definitely his best work. This movie introduces the unspoken dynamics that exist at the core of the individual and most families. These issues are inherent barriers to a man understanding himself. Like Che, I had some unresolved issues in my past that needed to get addressed. I didn’t know my entire father’s side of the family until I was about 14 years old. I didn’t know why they never sought me out. When I met them, I learned and understood where most of my behavior and traits originated. It was like finding my dna, when I met them…I felt complete. The movie embraced me on levels of masculinity that I didn’t expect. There were iconic images of fatherhood that made me appreciate the viewing; chess playing, the haircut, the dialogue. The movie takes you through the painful cycle of homelessness. It pulls you into the emotional layers of single parenting, mentoring, juvenile issues, etc. Every black child in America could benefit from watching this movie, but every person in America could reap an investment of compassion. Most documentaries are factually rigid and the camera presence introduces a sterile entity that bleaches the ambiance of the movie. Ricki Stern and Annie Sundberg direct this movie in a way that you’re not led and you don’t follow. You are in the conversation as a family member in the story. I’m intrigued by the other endeavors of Break Thru Films. Kudos to these two women! Ricki and Annie are on a whole different echelon of filming, you rock! IN MY FATHER’S HOUSE was nominated for an NAACP Image Award. Tune-in to TVOne on Feb. 5 to see if we won the award for Outstanding Documentary (Film)! 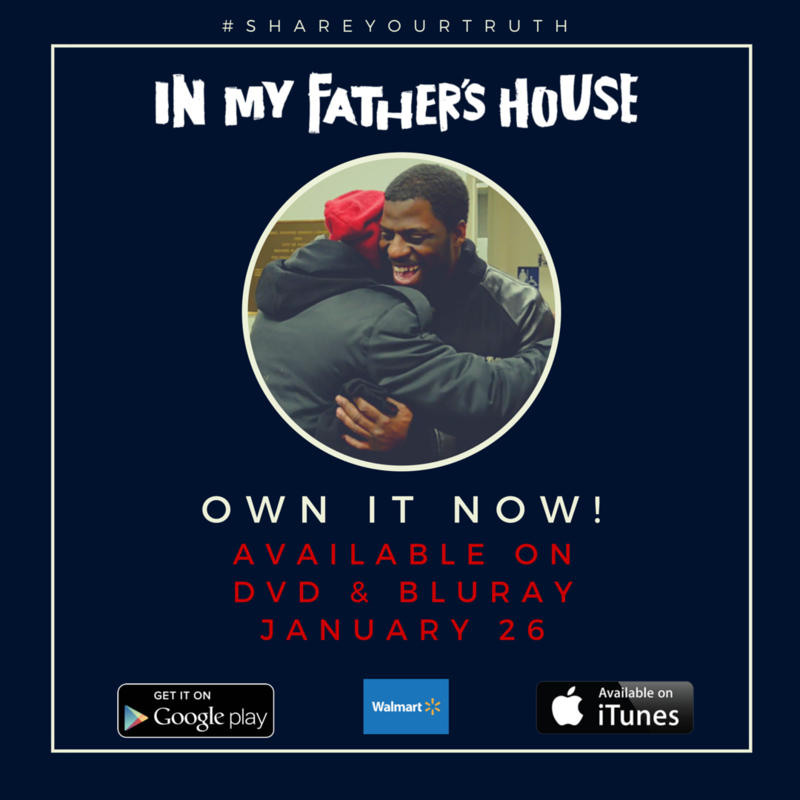 IN MY FATHER’S HOUSE will be available on DVD & BluRay tomorrow on January 26th. Please watch with the males in your family. Now, finally all those little things you take for granted. Sorry if I repeat some of the issues from last two blogs about etiquette. Getting dress for work? Put that fancy expensive cologne down, leave it for the club. I know it smells good but don’t wear it at work. You’re going to be in an office for 8 hours, no one wants to smell it for eight hours. If you have something that has a VERY light scent, possibly one squirt, don’t push it with multiple sprays. Do not ever compliment a woman by email or verbally. Just don’t do it, if someone hears the compliment, and is offended by what you said, you could be hit with a lawsuit. It sounds stupid until you’re explaining to your wife why you lost your job. I know someone who it happened to, don’t do it. Opinions about presidential candidates…keep to yourself. To be honest, any political discussions, any discussions about race leave it alone. Why…because eventually someone is going to disagree. In a perfect world people can disagree but we don’t live in a perfect world. You would like to keep your job and if you tick the wrong person off, you might lose your job. I know it shouldn’t be this way, but again, we don’t live in a perfect world. …and that’s why you don’t share names with coworkers. I wasn’t cheating, if that’s what you’re thinking, but it’s difficult explaining why my ex has my number and why she still calls me. When you’re walking the hall, carry something in your hand, it could be a portfolio or notebook. Carrying something in your hand gives the impression that you’re busy off to a meeting, working or always prepared. You might just be wasting time stretching your legs but they don’t have to know. My mom used to tell me, “If you’re late coming into work, don’t look like it.” Call in and tell them, “I’m running a little late.” Take the time to iron your shirt, put some lotion on your face. Don’t get to work looking stressed, work will be there. Do not try to be on time, try to be early. Don’t expose too much personal information. My coworkers don’t know about my position in my scuba diving club, the position with the National Organization of Concerned Black Men or this blog. It’s personal, it’s not for them to know, they don’t scuba dive, they’re not concerned and they ain’t black! Ha Why should they know?…even the black people I work with don’t know, you know why?…because people run their mouths. Have a drink…don’t get drunk. I personally don’t mix friends with coworkers. It’s not to say your career or work environment will not promote a good relationship but do so at your discretion. Megan may not want to be called Stacy, or better yet you don’t want people asking Megan when she calls, “Why didn’t you come to our happy hour?” Get my point? Every time there’s a “black” issue try not to be the go to person in the office. Stay away from those conversations unless you really have to set someone straight, and you can do so without offending. Race is a tough subject and sometimes it becomes hard to navigate out of it. For me this next piece of advice is a hard thing to understand. If it doesn’t happen to you, great. Something that I noticed is that people will talk about something that’s your responsibility within a distance where you can hear, and won’t invite you into the conversation. For the life of me, I don’t know why people do that. I guess it’s an informal way to invite you into the conversation, but it annoys the mess out of me. I don’t know what it is about standing next to my cubicle and talking about something I’m responsible for, but you don’t address me at all. Weird. Brings me to my last point, don’t get mad. Regardless of what’s said, done, emailed…don’t get mad. Be cool. Thomas Jefferson sent a letter to Thomas Paine in 1796, in which he wrote: “Go on doing with your pen what in other times was done with the sword.” This statement was the predecessor of the quote by Edward Bulwer-Lytton in 1839, “The pen is mightier than the sword.” It’s a proverb to suggest writing is more effective than military power or violence. In 2015, we seldom use the quill or pen, we use the keyboard. Before I delve into generic advice about avoiding the “Reply All” button or staying professional and not getting personal. You have to understand how email is a chess game. As soon as you hit send you may place your career in checkmate. This is not a “Like” on Facebook, it’s not a picture of something funny on your instagram account. This is documented statements relating to your work responsibilities. Work is how you pay for everything you need to live, so take it seriously. Where to start. Email is recorded somewhere on a server/cloud…somewhere, and can be shared EVERYWHERE to ANYONE. So if you’re upset or mad at what someone just transmitted to you, your friends, manager or coworker in an email, DO NOT RESPOND, not immediately anyway. When someone pulls me into an email thread and the blame starts to shape around me, I do five things. 3> Examine and understand who the person included in the email and what does that say about the tone of the email. When someone is emailing you and all of a sudden they include the whole team, most times blame is coming your way. Be careful of anyone that publicly blames and criticizes you but privately praises you. Realize the people could be BCC(Blind Carbon Copied) on the email. 4> I reply to everyone they included in the thread but I also include other people who may be affected by the subject matter discussed. I know I said earlier, avoid Reply to All, but when you are responding professionally and not retaliating it shows that you’re a mature professional and you can handle a little pressure without being personal. I usually don’t like to include people but I do so to be inclusive and “align all the resources for transparency”. When you make that statement, it looks less like you’re retaliating. 5> When I reply to all, I remove everyone off the email until I’m ready to send. This way if I send by accident, the unfinished email is not being sent to anyone. I’ve done it before. Before you start typing, ask yourself, “Can I have this discussion in person, offline?” Sometimes you can, if and only if it’s an email just to you, go to the person and have the discussion. After the discussion, put closure to the discussion by going back to your desk and drafting an email starting with, “Per our discussion, ….”. When you do this you do two things; you resolve the issue and you document the resolution. Blind copy yourself in this email, because in about a year when performance appraisals come out, some people might not remember exactly how this issue was resolved. “Melissa, You are wrong, blah blah blah”. “Good morning team,” “Hello team” or even “Good morning Melissa”. Melissa is already on the defense. When you greet the team or Melissa it paints the picture that you’re in control, calm and intelligent. The greeting inherently gives the notion that someone else messed up because you’re too calm to be the one messing up. If it’s a nature of hostility I quickly diffuse the tone and aggression. It’s not easy but this is my career and everyone on the receiving end of the email is watching you. I look at who “Melissa” included on the email and that will tell me if I’m being “put on blast”. In layman’s terms I’m being blamed or embarrassed. You have to be careful when other people are suddenly on the email, understand why the author decided to all of a sudden include you…then read the entire thread to see what’s being said. While formality remains crucial to professionalism, if you’re emailing a client you call by their first name in person, don’t revert to an honorific, such as Mr. or Mrs., in the email, Gottsman advises. Your email opening should always reflect your relationship with that person. While an email thread can swiftly become short and friendly, starting off too informally — for example, saying “Hey Megan” instead of “Hello Ms. Smith” to a new contact — may seem disrespectful. “It can smack of a lack of professionalism that may cause people to wonder what else you don’t realize is important or take seriously,” Kallos says. Always start a conversation politely and formally, and follow the other person’s lead. Gottsman recommends waiting until they sign off using their first name to use it yourself. Unless what you’re saying applies to absolutely everyone, respond only to the sender, Gottsman says. It’s annoying to receive one-sentence responses from 40 different people, especially if the topic isn’t relevant to what you’re working on. No one wants to read through more than they need to, so keep emails concise and leave out personal details. “Business email etiquette developed because people want to hear about just business, not your cousin or grandmother,” Kallos says. Save your personal updates for another time. “Since people can’t hear our tone of voice, we have to remember that all they have is the written word,” Gottsman says. “The writer needs to make sure that they are writing for the reader to understand.” This makes phrasing and formatting extremely important to clearly getting your point across. Always take the time to find the exact word that conveys what you mean, and only bold something if you’re ready to stand by it, Kallos says. “If you type it, you better mean it,” she adds. People will take things the wrong way, so avoid even giving them the chance to. Asking unnecessary questions not only wastes the other person’s time, it shows that you didn’t pay attention to what they said the first time around. To avoid this, Kallos suggests answering emails point by point. “People love it because they know you’ve taken the time to address each and every one of their concerns,” she says. Some things, such as offering criticism, can’t be said over email without creating a misunderstanding. Learn to recognize these situations, and pick up the phone or walk over instead of sending an email. “On email you don’t have the eye contact or the body language, so there are times you’ve got to add that personal touch,” Kallos says. Do: Only reply to all when necessary.Remove those on the thread that do not pertain to your response. Most people feel they get enough email as it is. So, sending them unwanted mail will only annoy them. Do: Be professional in your communications. Use good grammar and choose your words carefully. If writing is not one of your strong points, consider typing it in Word first, and then copying and pasting it into an email. Words’ spell check and built-in grammar help will alleviate most errors. Do Not: Send poorly written emails. It makes you look unprofessional, uneducated, and gives off the impression that you do not care. Do: Respond within 24 hours or sooner even if you don’t have an answer right away. At least let the sender know that you have received their message, and set an expectation for a follow-up. Do Not: Take days, weeks, months to RESPOND! Do: Send email when you are in a good frame of mind. Do: Send email at appropriate times of the day. Do Not: Send email late at night or after you have been drinking. For obvious reasons this can be a complete train wreck. I have seen it happen! Do: Be very careful when replying from your mobile. The auto correct feature can be a killer, and lead to some real embarrassing emails. Do Not: Send email without first reading it over a few times. Especially when sending from your smart device. Lastly, just be careful. I’ve seen careers ruined because someone was angry and didn’t know how to effectively communicate. The funny thing is they were right but they included the bosses boss, bad move. Email can potentially end a presidential campaign run, ask Hillary.